Melbourne has defied the critics with better than expected post-GFC property price growth. The city boasts a wonderful cultural lifestyle, Australia’s best town transport network, and year-round tourism. But, is that enough to justify plonking money in to a market where the cost of accommodation is already significantly higher than two thirds of Australia? 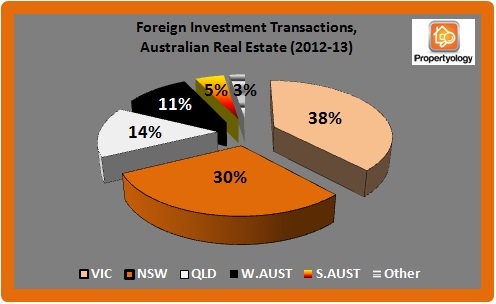 A significant portion of Victorian government revenues over the last 5-6 years has been in the form of property-related taxes from an over stimulated construction industry. Propertyology has been increasingly concerned about an over-supply implication on Melbourne property markets. 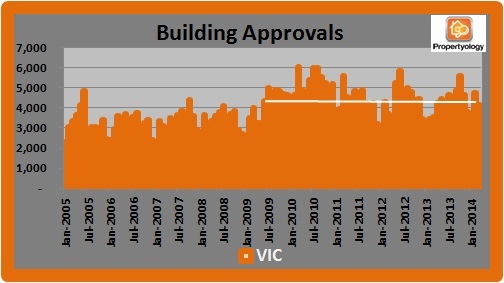 The data in our building approvals graphic shows that property supply has been significantly higher over the last five years than previous trends. To date, the higher supply has been counter-punched by higher demand in the form of a swing in population growth. Population growth rates have come from two main sources: net interstate migration and the international student market. Propertyology believes that Melbourne’s property market is very delicately poised. 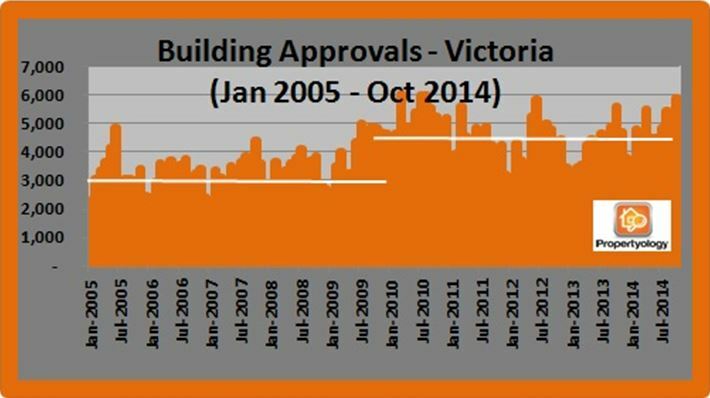 We question the sustainability of Victoria’s ‘we’ll keep building and they’ll keep coming’ strategy. The market has been over supplied for some time. Rental yields are already the lowest in the country and vacancy rates will rise above where they are now. 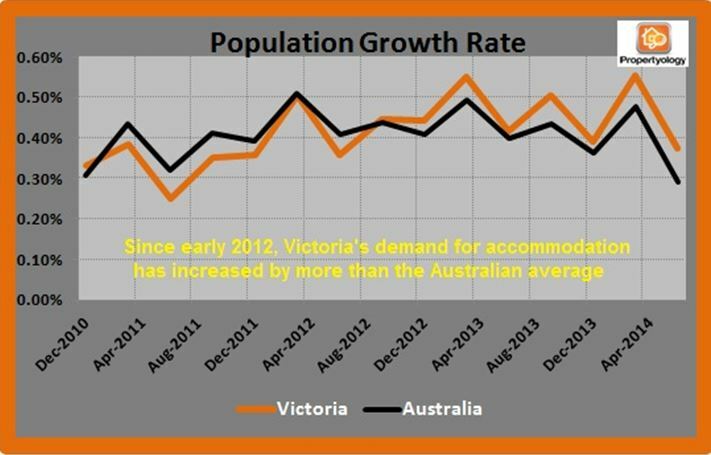 In Propertyology’s opinion, Victoria has some significant economic challenges on the horizon. The state has a high exposure to manufacturing and the closure of Ford, Holden and Toyota during 2016-17 will inflict a lot of pain. According to a study conducted by University of Adelaide, 98,000 Victorian jobs will be lost. The city councils with the biggest exposure are Melbourne City (15,000), Hume (9,000), Dandenong (7,000), Hobsons Bay (6,000) and Geelong (5,000). 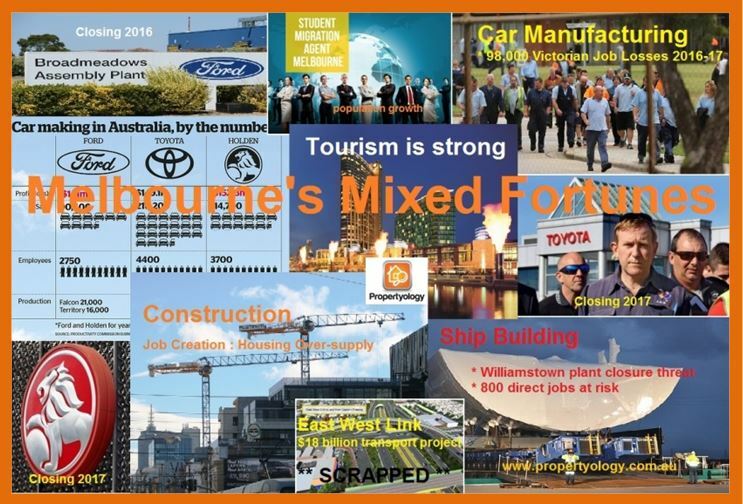 A new state government was elected in to office in November 2014 which resulted in the scrapping of one of the state’s very few major infrastructure projects – the $18 billion East West Link transport project. With a waning manufacturing industry, fewer state-owned assets than the likes of New South Wales and Queensland, and a small infrastructure pipeline it remains to be seen how the jobs will be created to support a growing population. Will the new government play the ‘just expand the public sector’ card? 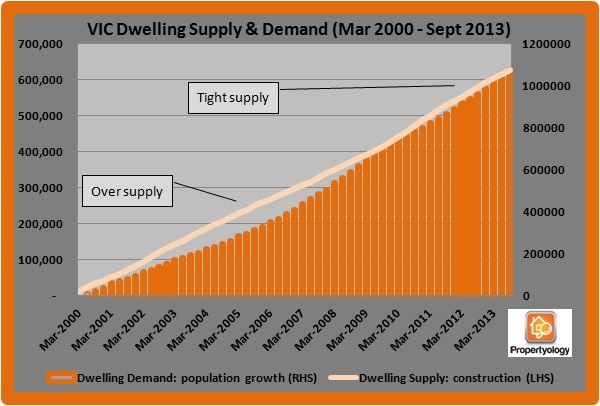 Even with the higher population growth rates, the rates of property supply are enough to be concerned about. Things could become quite ‘ugly’ if intervention doesn’t create the extra jobs needed to support population growth. 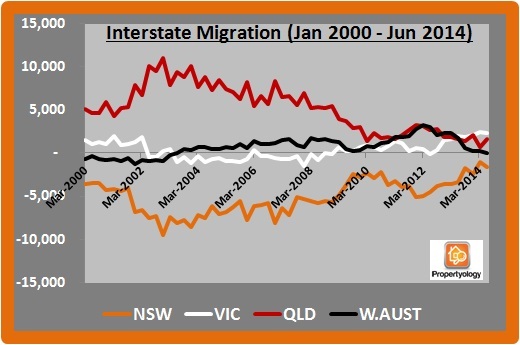 We might see interstate migration trends do an about face over the next couple of years.